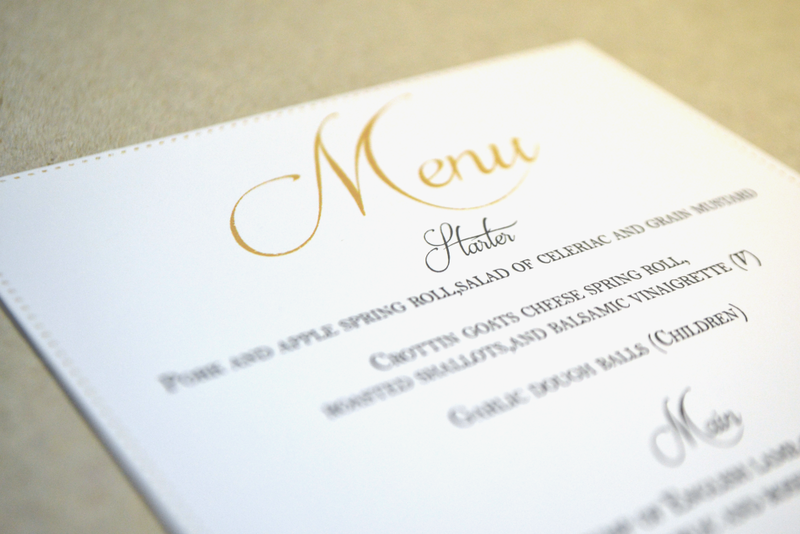 We love being given briefs that are a bit different from the norm. 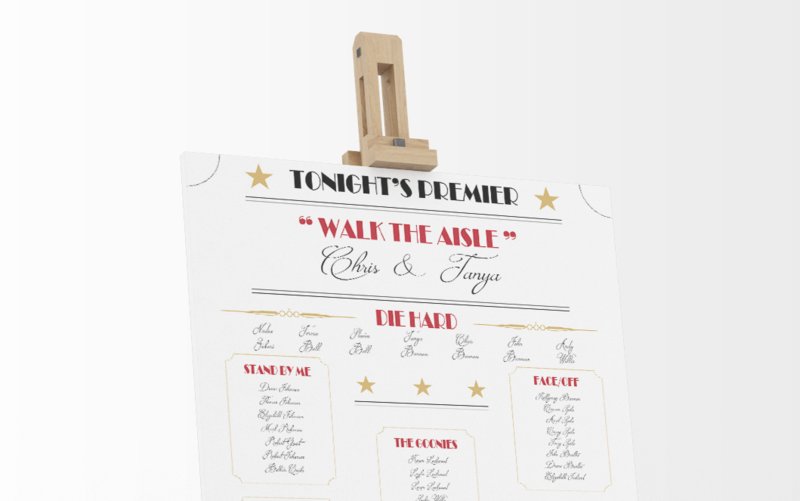 Chris and Tanya asked us to create their on the day stationery to fit their movie themed wedding reception. 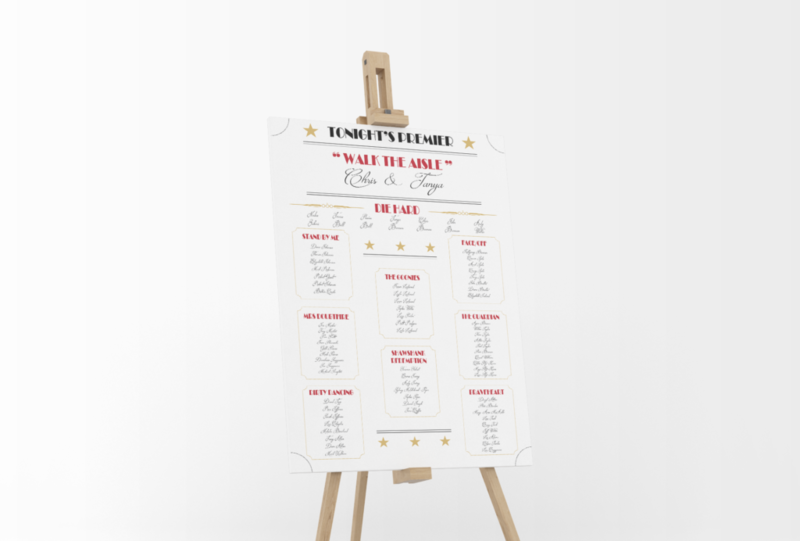 We designed the table plan to look like a movie theatre sign and then carried the design onto the menu and place settings. We hope they had a star studded party! 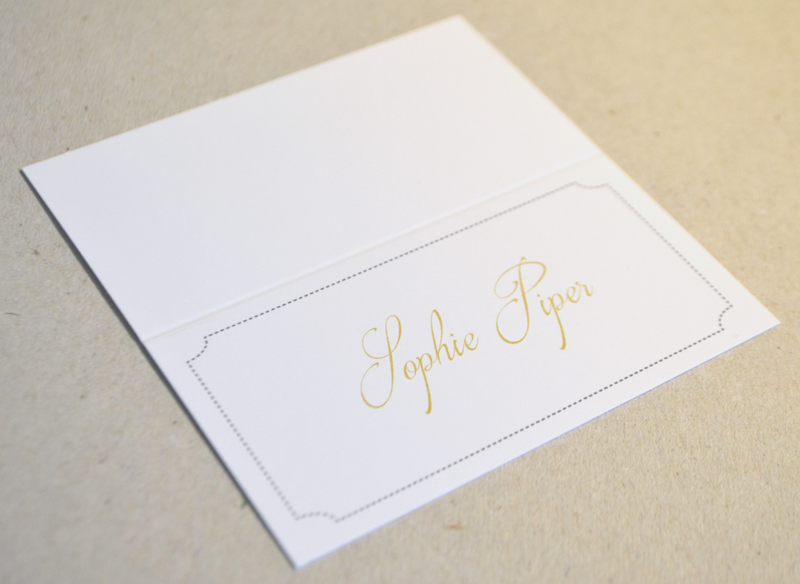 If you would like us to create stationery like this or your own bespoke design, get in touch today !